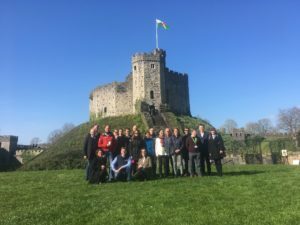 Project partners from geological surveys across Europe converged in Cardiff (UK) between 26th to 29th March for the second MUSE (Managing Urban Shallow geothermal Energy) project workshop. The 3-Day meeting was held in a tower in Cardiff Castle and included a geologically themed tour. Technical sessions covered progress on our six main work packages. Day 1 included introductions to Pilot areas and technical session with presentations on thermal conductivity measurements and resource assessment approaches (WP2). Day 2 focused on Stakeholder perspectives in pilot areas (WP4), with a guest speaker from Cardiff City Council, Dave James, and field trip to see an operational open loop ground source heat pump (GSHP) scheme. On Day 3 we summarized statistical analysis of questionnaires completed by partners that compare and contrast how shallow urban geothermal energy is regulated, managed and measured across Europe (WP3). These pan-European comparisons will allow us to standardise terminology and methods and hopefully to address some of the challenges facing sustainable development and regulation of shallow urban geothermal energy. The day finished with outdoor group working in the castle grounds, demonstrations of web tools (WP5), and updates from cross cutting GeoERA projects (WP6). Unusually for Wales, the sun was shining all week, which was very fortunate in country that can receive as little as just 1200 hours of sunshine per year! For some, perhaps the highlight was the boat trip to visit a shallow open loop ground source heat pump demonstrator in the Cardiff Bay area. 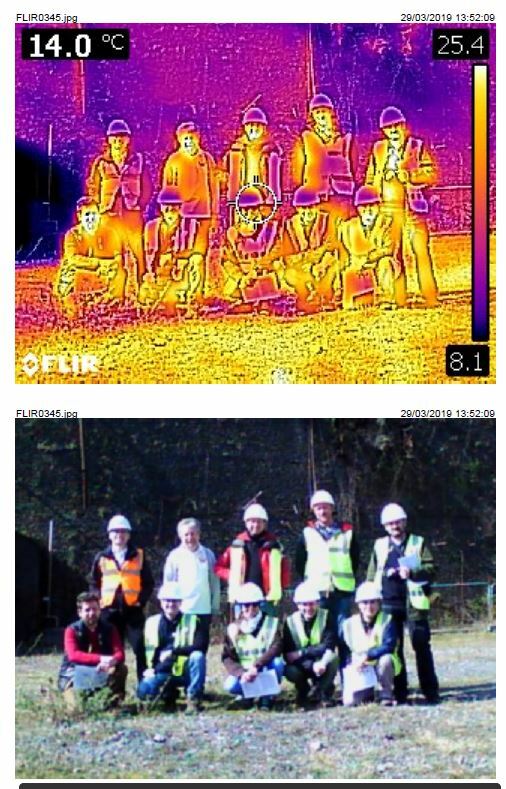 The demonstrator site (installed by BGS/WDS Green Energy) has been providing heating at local school for several years, and the project team were able to discuss the challenges of designing, installing, monitoring and managing groundwater heat pump systems in a busy urban environment. All aboard!!! 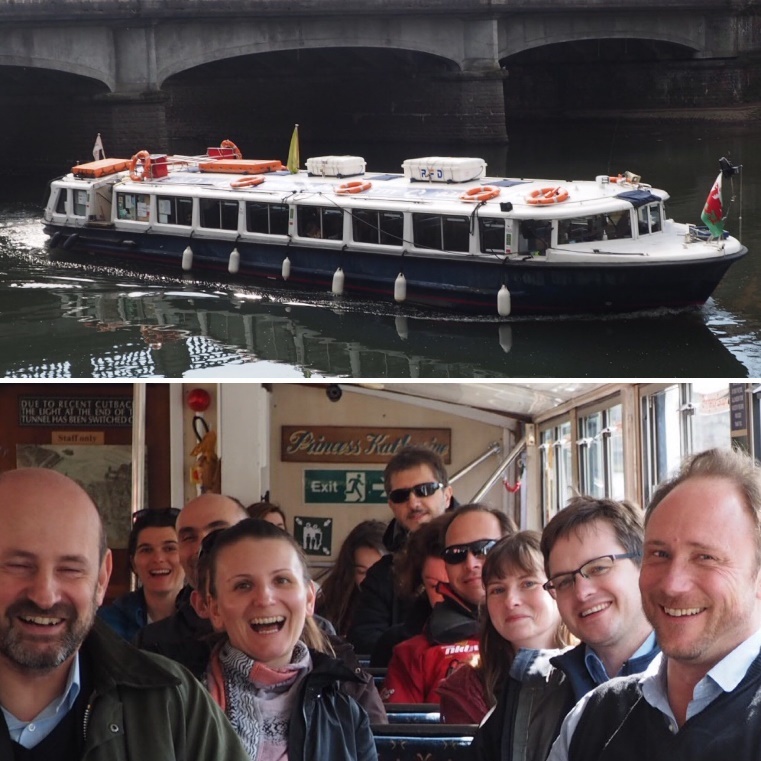 The MUSE project team taking the water taxi ‘Princess Katharine’ from Bute Park to Cardiff Bay, with an explanation of the Barrage scheme and its influence on the hydrology given by our local host, Gareth Farr (BGS). The City of Cardiff has mainly grown due to the export of coal during the 19th & 20th centuries, but nowadays the majority of coal mines are closed and flooded with warm mine water. So a second field trip was made on Day 4, to look at an abandoned mine site where the community hopes to recover heat from warm mine water rising up a disused shaft. We are very grateful to Robin Shaw (Crumlin Navigation Trust) and Ben Whittle (Welsh Assembly Government) who met us on site, and shared their plans for using the heat in the coal mines to heat homes and businesses. The MUSE project team visit to Crumlin Navigation Mine, a disused coal mine in South Wales, UK. Mine water is discharging from a shaft at 19°C and plans are being made to use this for heat recovery as part of a bid to regenerate the site.